Does your pool need repairs? You’ve waited patiently all winter. Then, on the most recent warm day, you reopened your pool and went for a swim. It almost felt like spring came early. While Mother Nature decides what to do next, here are some ways you can tell your swimming pool is in dire need of repairs. Cold weather and pools don’t mix. The effects of the thawing cycle as temperatures yo-yo can cause all sorts of problems. 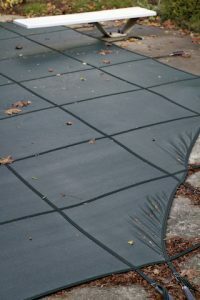 For instance, the concrete of your pool can start to crack. Your pool might also feature plenty of beautiful tile that is starting to show its age. When you see these problems, don’t wait to get them fixed. Plaster is another important part of your swimming pool. When you see broken plaster, it’s a sign you need to get repairs done as soon as possible. You don’t want a leak to happen, because that would make the repair process much more expensive, not to mention more time-consuming. As important as the inside of your swimming pool is, don’t forget about the outside too. The supports are vital components of your pool, so you should get them fixed when they to be repaired. The mastic prevents water from overflowing onto your swimming pool deck. It’s no fun to come out onto your deck that’s covered in water, especially if it hasn’t been raining. Make sure your mastic isn’t falling apart.